No longer content to fade away into comfortable retirement, a growing number of former political leaders have pursued diplomatic afterlives. From Nelson Mandela to Jimmy Carter, and Bill Clinton, to Tony Blair and Mikhail Gorbachev, this set of highly-empowered individuals increasingly try to make a difference on the global stage by capitalizing on their free-lance celebrity status while at the same time building on their embedded ?club? attributes and connections. In this fascinating book, Andrew F. Cooper provides the first in-depth study of the motivations, methods, and contributions made by these former leaders as they take on new responsibilities beyond service to their national states. While this growing trend may be open to accusations of mixing public goods with private material gain, or personal quests to rehabilitate political image, it must ? he argues ? be taken seriously as a compelling indication of the political climate, in which powerful individuals can operate outside of established state structures. As Cooper ably shows, there are benefits to be reaped from this new normative entrepreneurism, but its range and impact nonetheless raise legitimate concerns about the privileging of unaccountable authority. 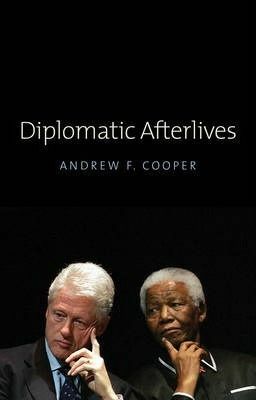 Mixing big picture context and illustrative snapshots, Diplomatic Afterlives offers an illuminating analysis of the influence and the pitfalls of this highly visible but under-scrutinized phenomenon in world politics.